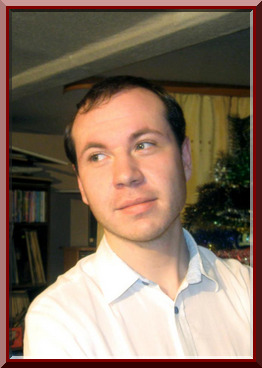 "Maxim Malyh Small Maxim Andreyevich Date of Birth: 29.06.1988 Place of birth: village of Balta, Sverdlovsk region, Russia In 2002, he moved to the village of Iset, Sverdlovsk region. In 2005 he graduated from the secondary school of number 7 paragraph Iset In 2006 , he enrolled in the Vocational Teacher Training College "Technologies of beauty" Eka"
In 2002, he moved to the village of Iset, Sverdlovsk region. In 2010 he entered the Russian Professional Pedagogical University, Ekaterinburg , the specialty art- design. He was born in the village of Balta, Sverdlovsk region. Even from infancy to love music, especially singer Anna Herman. By age 5, was given a turntable and some records , among which was a record of Anna Herman. Since then, this disc does not cease to play, but in 90 years , and on television often showed video recordings of German . Not long lasted fortune to see on television favorite singer , times have changed and the music from the 60 's and 70's was not relevant, but survived long in the memory image of the singer . In 2002, moving to a new place of residence in the village of Iset . In the same year , on the day of birth were given two plates of Anna Herman in the original envelope with photos. For the first time in a long time, I saw once again face the singer, who fell in love with early infancy . After graduating from secondary school was a firm decision to study for the artist. With no art education , university entrance proved difficult . Though it had good power, but do not work right away , and within a year actively studied literature for artists and practiced drawing. A year later, he entered the Professional - Teachers College "Technologies of beauty" in the city of Yekaterinburg, on the artist - master of arts - arts and crafts . During four years of college became acquainted with many art forms , has mastered several species of decorative arts and more. In 2010 , he graduated from college with honors. Wasting no time did the Russian State Pedagogical University , Yekaterinburg, in the specialty of art - design. Now I work as an artist - designer in the house of culture and at the same finish training at the university. In 2012, he returned to the image of Anna Herman and began to actively create new portraits, collected almost all vinyl discs with recordings . In addition to drawing actively engaged in the computer graphics and restoration of audio from vinyl records . Due to familiarity with a few true admirers of Anna German , it was not just a musical fad, but a part of life.